Converse: the official fall attire as far as I'm concerned. 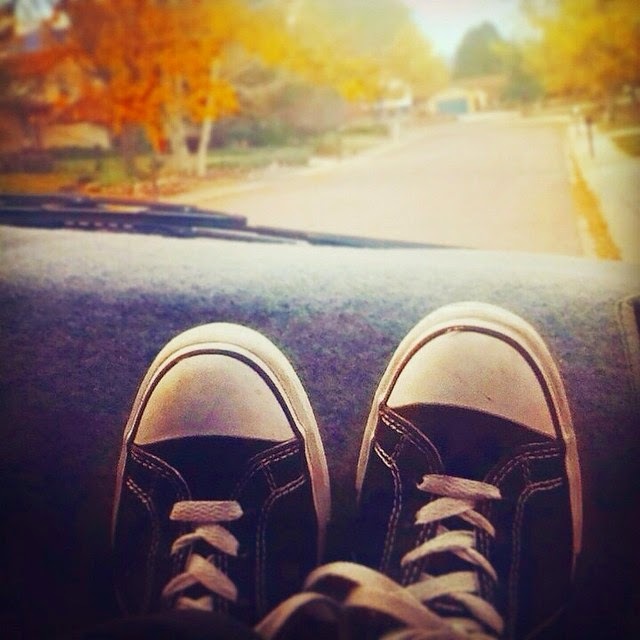 Fall is here, NaNoWriMo is almost here, and these Converse will help me on my journey. I'm ready. Let's go. I started out the month ready for my wisdom tooth removal surgery on the 10th. I got all ready for it and everything... only to have to reschedule. Thus, I got my wisdom teeth out on the 24th of October. They had to use three times the amount of anesthesia they normally would (whoops), but otherwise it went well. (Though I do remember parts of the surgery and... eeeew.) Days 1 and 2 were decent, but days 3, 4, and 5, were worse. On day 6, I ended up getting dry socket, which lives up to the horror stories, but we're on day 7 now and recovery is imminent. While dry socket is miserable, I'm feeling much, much better because of the medicated dressings they put in. (Seriously. They're MAGICAL.) I'm feeling better today than I have in a week, and I'm looking forward to being able to be fully back on my feet again! Throughout all of this--my surgery, the recovery, everything else--I feel myself growing a lot closer to my family, my mother and sister in particular. My sister and I are seven years apart, so it can sometimes be hard for us to get along, but we have found a shared outlet: a TV show. Once Upon a Time, to be exact. 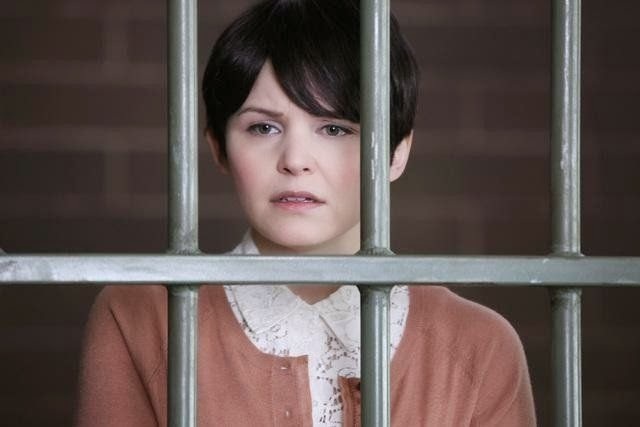 After Christine's guest post, I found myself wanting to try to get into OUAT again. So I hit play on episode six where I left off. I was ambivalent, until my sister came down and started watching it with me. She begged for another. And another. By the time the day was done, we had watched five episodes. And we were completely hooked. My mom has been incredible through all of this; helping me through my recovery in particular. Whether it's getting me loads of ice packs or trying to find me soft foods, her help, and more importantly encouragement, has been unparalleled and incredible. She's my rock, and I don't know what I'd do without her. My dad also took me to the doctor the morning I had dry socket, and I'm incredibly grateful to him for doing that. As for the months ahead, I have NaNo to look forward to, and after that we'll gear up for the holidays and a hopefully-not-very-long winter. Fall is my favorite season, I've officially decided, so my main goal is to just soak it in as long as I have it. I love it--the leaves, the crisp feeling in the air. As Anne of Green Gables said, I'm so glad I live in a world with Octobers. That's definitely true for me. 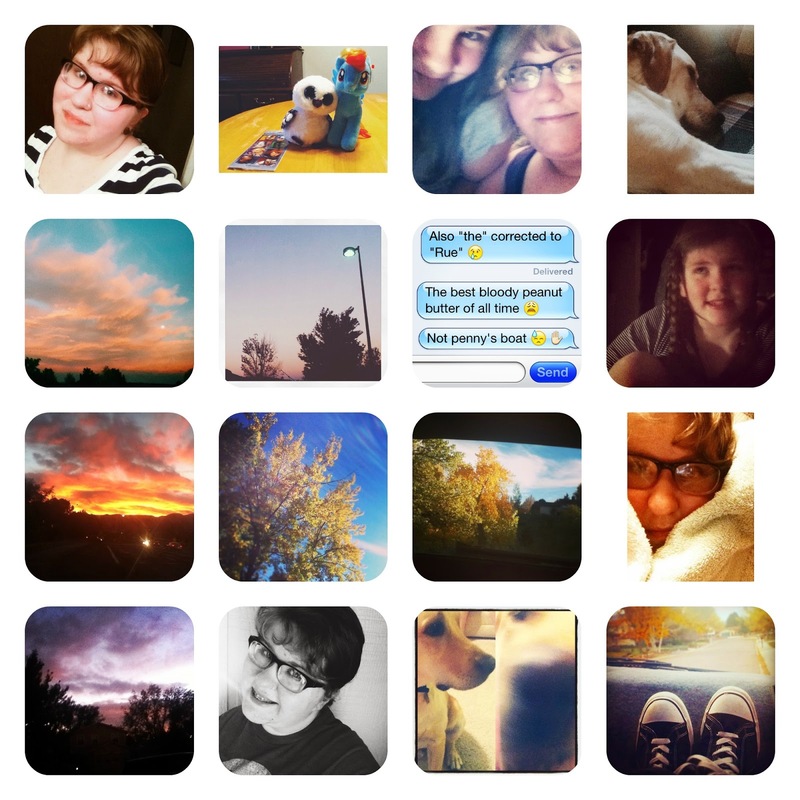 October was an incredibly prolific month on the blog. 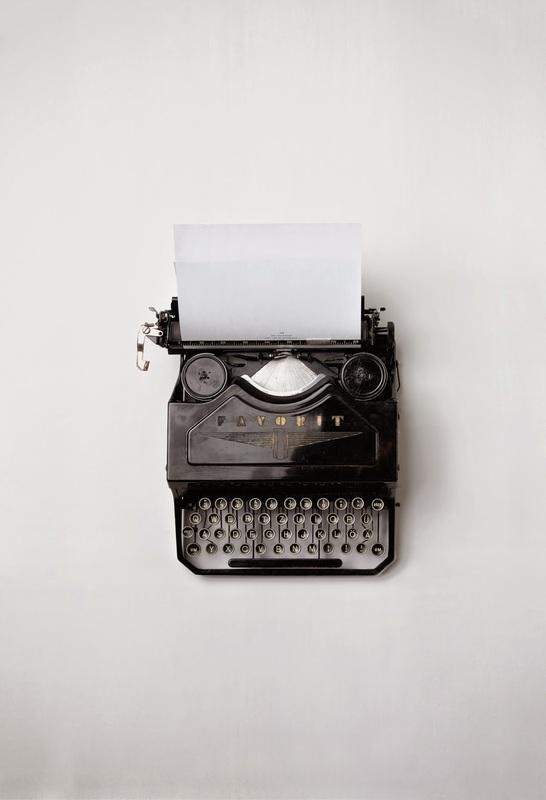 I started off the month with A Novel Idea: Astrid & Cobie, and in general did the A Novel Idea blog meme a total of four times: Here We Have Six, Evee and Hal, and All About the Writing Process #3. 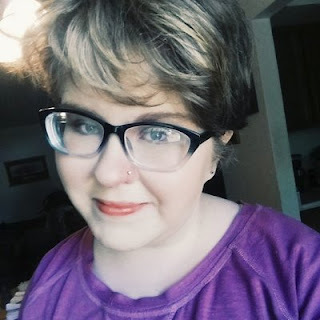 My first non-meme blog post of the month was to celebrate my 8-year-blogiversary, along with sharing 20 facts about me. You can find that one here. I participated in two fantastic cover reveals this month, both of which I was privileged to be a part of: Plenilune by Jennifer Freitag, and Portals of Water and Wine by R. L. Haas. My new link-up with Cait, Beautiful Books, debuted this month, and that was a whole load of fun. I loved reading all of your posts! I participated in it as well by sharing about my NaNo novel, and that was amazing, too. I did not get my wisdom teeth out (though I did later on in the month, so not to worry), and bought two new fabulous plushie friends. I revisited a couple of my older posts and spun them into new ones, with both Five Reasons Why I Love NaNoWriMo: Reprise and Courage to Rewrite. 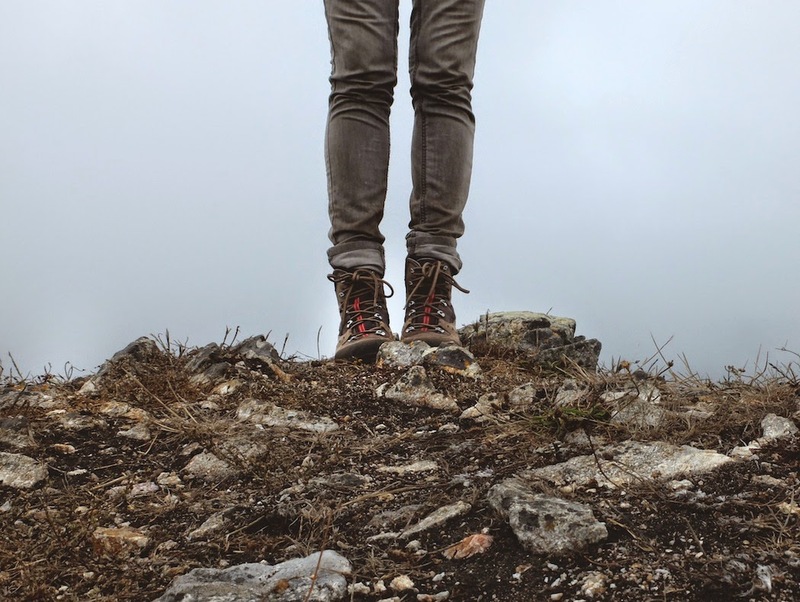 In a fit of inspiration and bravery, I wrote Trust Me, I'm a Superhero (And You Are, Too), which is one of my favorite posts out of the entire month. 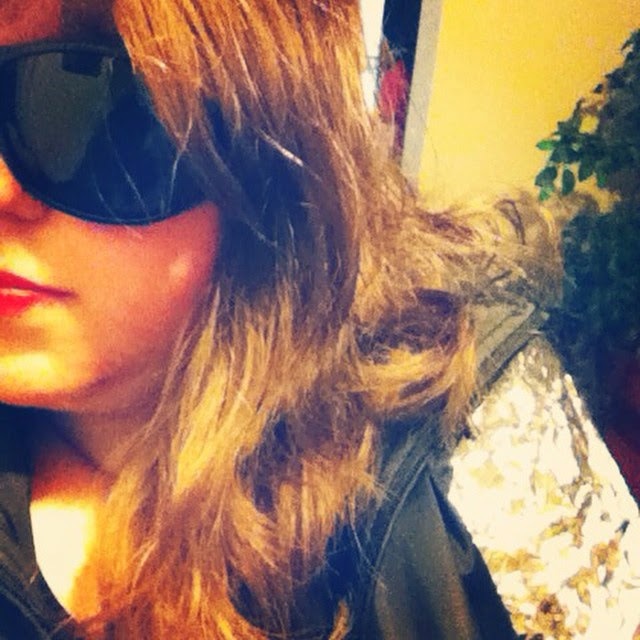 And finally, we launched into my Week of Scheduled Posts due to me recovering from wisdom teeth surgery. I had a fantastic guest poster, Christine Smith, come share 7 Reasons Why the Once Upon a Time Writers Are Magic. (Check that one out if you haven't already!) I also asked what's on your character's bucket lists, and shared what I stay alive for. I also wrote about how I want to write about family. Which brings us to today, my recap, and the 18th post on this blog for October, which I frankly can't believe. I don't know if my posting record will be this good every month, but I'll take what I can get! I've so enjoyed flinging my words across the blogoverse for the world to see this month. My writing hit a bit of a slow spot as far as novels go (apparently my writing spark migrated to my blog, whoopsie-daisy). I have lost almost all inspiration for Petrichor, but I'm continuing to try to plug away at it. I'm still doing the 100-4-100 challenge, though most days I'm meeting the bare minimum (and I'm on break because... you guessed it! Wisdom teeth). I hope to finish Petrichor, still. My goal was to finish it by November 1st, but the ending is taking a little longer to come to me, and maybe that's okay. Speaking of the ending of Petrichor... I realized that the ending I had in mind might actually be a bad one. So it's back to the drawing board, and I think that's a little bit of where I'm hitting my snag. I don't know honestly how to end it. So I might have to take a little time on this one. 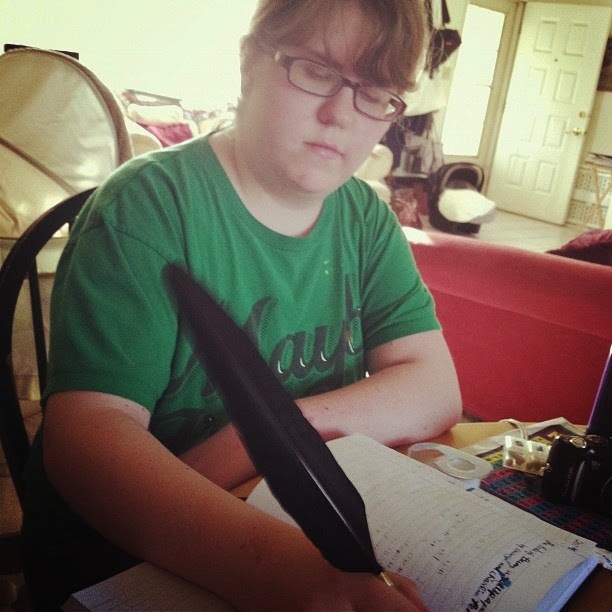 My sister is also still doing the Go Teen Writers 100-4-100 challenge, and I am so proud of her. Despite losing some steam, she's still going at it. 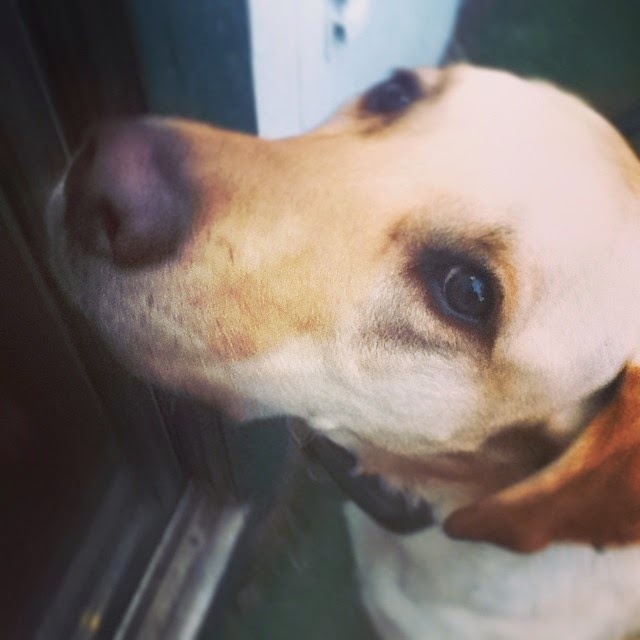 For her writing projects, she's started a blog, where she'll write from the perspective of our puppy dog, Ace. Due to the sheer amount that Ace gets into trouble, my sister's new venture is sure to be an entertaining and fabulous read. I promised her I'd "advertise it", so here's the link. I'm sure my sister (and Ace) would love comments! "Pleeeeease read my blog, please?" And now for the nitty-gritty details: writing stats. In Petrichor, I wrote a total of 9,825 words this month. I'm at a total of 94k out of my goal of 100k. So close! I'm pretty sure I won't finish by November 1st, but that's okay. The ending is taking a little longer to come to me, so I shall sit back and let it. There was definitely one song for me this month: Pour Some Sugar On Me by Def Leppard. My dad showed it to me on an 80s playlist one night, and since then I've listened to it too many times to count. I didn't listen to too much else, but here's the official playlist for October. 1. selfie / 2. my plushies, rainbow dash, and the owl-of-many-names. / 3. my sister and me. / 4. my dog ace keeping me company after wisdom teeth surgery. / 5. you mean the sky didn't really turn to cotton candy that day? / 6. fall snapshots / 7. i'm having a moment. / 8. my sister lighting up my life. / 9. a sunset lighting up my life. / 10. fall leaves lighting up my life. / 11. one of my favorite pictures i took this month. / 12. wisdom teeth recovery has entailed a looot of icing. / 13. this is my favorite color. / 14. front-porch selfie: i'm happy because FALL. / 15. my dog ace on his second birthday. / 16. converse, the official fall shoe in my opinion. As mentioned, my sister and I (finally) got into Once Upon a Time. I love it so far. We're currently on episode 11 of the first season. (Binge-watching will do that to you.) In addition I watched the series premiere of The Flash, and loved every second of Grant Gustin / Barry Allen. He's fabulous. I also got back into Arrow s1 (both by myself and re-watching with my sister). I watched Agents of S.H.I.E.L.D. and cried over Fitzsimmons. Another huge development happened as of the 30th: my brother and I finished the entire series of Breaking Bad. It was awesome. Thought-provoking, violent, and oftentimes terrifying... but awesome. I might write about it in a post sometime. Then, of course, I watched a couple of the usual shows scattered throughout the month--New Girl, Parks and Recreation, etc. I watched the movie Stuck In Love and absolutely adored it. It was about a family of writers--including but not limited to: Greg Kinnear as the dad, Nat Wolff as the son, and Lily Collins as the daughter. I loved them all so much. It had sexual content and lots of language, and is rated R, but other than that I really recommend it. As a writer, it really resonated with me. I've been working on this recap over the past few days, so I wrote the above sentence before dry socket set in. When I worked on this post again after getting dry socket, my general attitude was, "....eeeeeh." Nevertheless, recovery is on its way. I'm feeling much better now, and I'm very much looking forward to the month to come, and I'm greeting next month with open arms. 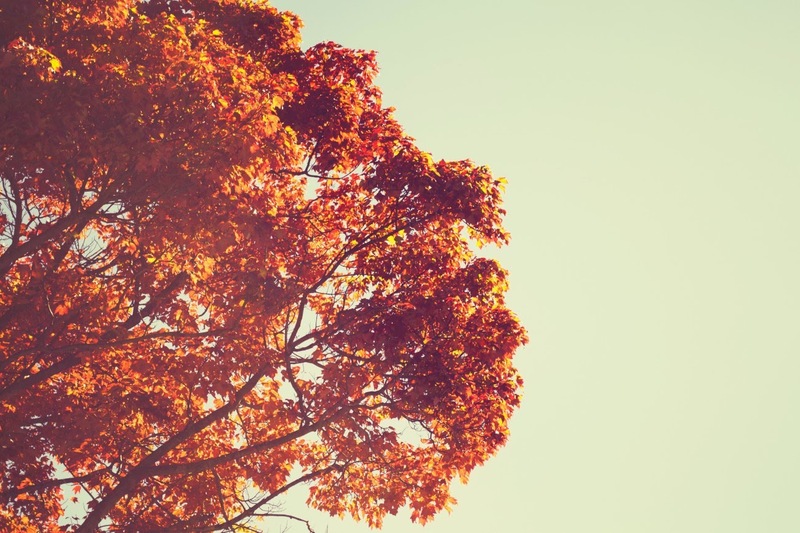 November, it is so nice to meet you. I am ready. "well then, you'd better finish it. because i'm with you till the end of the line, pal." 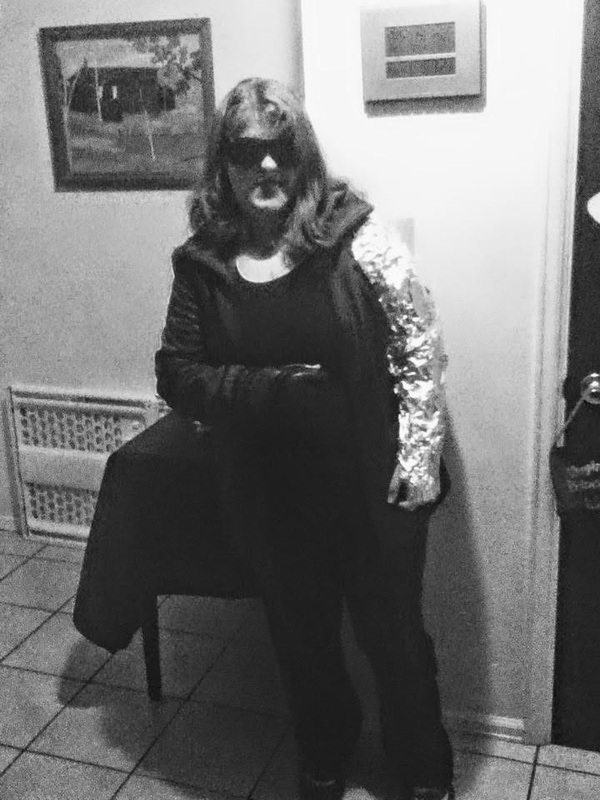 my halloween costume. it ended up working out perfectly! i had a wonderful time. This coming year, I want to write about family. The living, vibrant ones that are tied together with bonds thicker than blood. The ones that aren't perfect, but that cling to each other when life is difficult. The families that love each other more than anything. While most of my characters don't have families, maybe I kind of want to change that. Whether it's their actual parents, siblings, or a family found and stitched together all by themselves, I want to write about that feeling of family--of a tight-knit group of people that would sacrifice anything for each other. A trope in YA often is the parentless (and family-less) hero or heroine. This is because it's a lot harder for your characters to do exciting things when they have to be home by eleven o'clock PM. So I totally understand this. But at the same time, my favorite show when I was younger was Caillou, which showed the bonds of family. I liked it because I felt like it compared to my real life. I think some people may be looking for the same thing in books, at least. While some of us may not have parents, it's rare not to have some sort of family--whether it's a mentor, a parental figure, or their best friend. I think it's time that families were upheld way more in YA fiction than they already are. I want to write about families like mine. Families where I hear my mom playfully yelling about how my brother put wrestling on TV and trying to get him to change the channel. The ones where my mom sends me an email telling me to be at peace, that it will all be okay. The kind of family where my mom makes me get in the tub with candles and darkness, where my mom makes me just rest. The kind of family with vivacious little sisters that are almost too quick to keep up with because of all the joy they hold inside; families with brothers with orange and blue casts on their legs, and playful senses of humor, who can hardly wait to watch Breaking Bad every night. Families with dads who may have their own struggles, but still will always, always guide their children when they need him to, and be there for them even when he isn't doing well himself. Families with pets, with home-cooked meals, with homes to come home to and holidays spent around the table eating and laughing. Families with grandparents; grandmas and grandpas, aunts uncles and cousins, and tons of love to go around. Families without parents or brothers or sisters or any clearly defined roles except they are there for each other and that's everything that counts. Families that are makeshift and messy, but the most incredible thing my characters have ever experienced. Families that spend time watching TV show marathons and sitting around bonfires and discussing Mere Christianity. Families that don't share genes, but don't have to, because their hearts are right at home and safe and loved and cared for. Families that make people feel like they belong. With such heartfelt sentiments as these, it's shocking it's not utilized more in YA and in the world in general. It's high time the feeling of family -- no matter what shapes and sizes they come in -- is embraced more in fiction. At least in my fiction. And, in real life, too. I think writing and reading about families helps us appreciate our own. At least it has for me while writing this post. So that's why, this coming year, I want to write about family. Every single kind. Actually, maybe the word I'm looking for is love. Not necessarily romantic love; instead, those most-encompassing, life-changing, heart-rending, warming-up-by-the-fire-with-people-dear-to-you kinds of love. The ones that wrap around you like a warm blanket, so that your whole life and being changes. The kinds of love that make you feel safe, warm, and okay. Yeah. That kind of love. That's definitely it. This year, I want to write about love. What are your thoughts on the lack of family in YA? Most importantly, what do you want to write about this coming year? This has been a scheduled post. Five days into recovery from my wisdom teeth. Yay! My past self wishes my future self godspeed. Writing Exercise: What's on Your Character's Bucket List? Dreams. We all have them, and I'm pretty darn sure our characters do too. When writing with one of my friends, one of the characters asked his friends what they wanted to do with their lives, and whether there was anything they'd wanted to do since they were little. 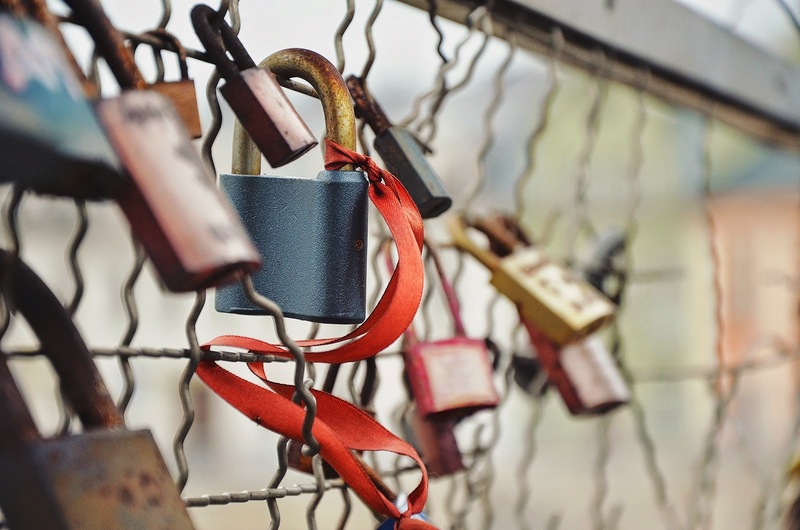 One of my characters, Eli, wants to put a lock on the Love Lock bridge in Paris. I thought this was a really interesting question, and it got the wheels in my head turning. (Thank you so much for that, Caroline!) So, here's my question that I pose to you: what's one thing your character has always wanted to do? What's on your character's bucket list? Just so you know, this is not a test -- it's more designed to get you thinking. I know some people aren't keen on bucket lists; if that's you, just try thinking about something they'd do if money and time allowed, or one of the things their soul wants more than anything else, or something they've wanted to do their whole lives. You can even do more than one character if you'd like. There are no right or wrong answers, but I do want to hear them! Tell me what you come up with in the comments! *scheduled because of wisdom teeth recovery, ladedadeda, all that jazz. miss you lovely readers already! Sky here! 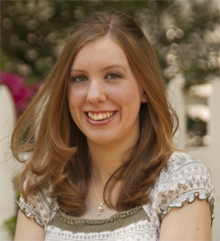 Today's blog content is brought to you by a talented writer, fabulous blogger, and all-around sweet and caring person, Christine Smith! Christine blogs at Musings of an Elf, and I'm so glad she's able to come share her insight with us! To sum it all up, here's what's happening: I like to analyze stories and what makes them tick, and I've dragged a guest poster into it with me. *quiet evil laughter* This post is a discussion starter, with seven great points about a well-told story. The purpose of these types of posts is so that we might figure out what makes it well-told and then incorporate what we've learned into our own writing. So sit back, relax, and take in the magic! I've always been a major fan of fairytales. Sometimes I think I inhaled a mite of pixie dust as a child, just enough to crave more, to ache for whimsical adventures and dream of flying to the stars. So when I saw commercials for a show involving all the fairytales being thrust into our own world. Well, goodbye, life! I'm watching Once Upon a Time! I didn't know what I was getting myself into. I love fairytales, I love crossovers, I love big continuing stories. Once Upon a Time took all those things, threw them in a blender, and produced one epic (if not a bit wild) smoothie. The basic premise of the show is about a woman, Emma Swan, who is dragged to a little town in Maine by her supposedly estranged son claiming the whole town, Storybrooke, is made up of fairytale characters. The show goes back and forth from flashbacks in the "Enchanted Forest" to current events in our world, slowly revealing the stories of these characters and how they ended up in modern day Earth. I was hooked. But it wasn't just the intriguing premise that had me sitting around in agony every week for the newest episode, it was the way the show was written. These writers know their stuff. So how do they do it? How do they keep us wanting more and more and more? As a writer, I ask myself these questions with every episode. Jealous of these ingenious writers' ability to weave one masterful tale. How? I think the key to any great story is those plot twists that leave you blinking with a slack jaw in shock. The OUAT writers pull this trick over and over, seeming to never run out of one surprising twist after the next. When I'm just sure I know how a plotline is going to end up, it takes a completely unexpected turn. They take a basic storyline and flip it on its head. As writers we shouldn't tread on the cliché paths or use the first ideas that pop in our heads. You've probably heard it before, but the first idea you come up with is probably the first thing your readers will expect as well. Brainstorm. Make a list of multiple outcomes. Take one idea and twist and expound it until it's something utterly unique and unexpected. One big plot twist can turn a good story into a great one. If there is any show with a convoluted plotline it's Once Upon a Time. My brother and I like to watch it together, which is convenient, because it takes multiple brains just to make sense of the thing. There is many a time where we have to pause and figure out what this character has to do with that character, or why this storyline connects with that other one, and what does that magical item do again? It's like if you took three spools of thread and twisted them all together you'd have a map of the OUAT storylines. Now, this isn't always a good thing. Not every story needs to be that complicated. It's nice to actually be able to remember what's going on while reading, or watching TV, or what have you. But I definitely believe having a non straightforward plotline is the best way to bring intrigue to your story. We all know the boy meets girl, boy falls in love with girl, boy and girl get married plotline. Sometimes simple plots dull down our stories. But what if the girl happens to be a well-known fairytale trapped in our world? Oh yeah, and she's the villain. Now the boy has some complicated things to work out. But, wait, now his own love just practically came back from the dead. Surprises and convoluted plots are what are going to keep your readers turning those pages far past their bedtime, trying to untangle the captivating mess you just threw them in. All these surprises and intricate storylines can be quite messy, sometimes too messy. But I've seen a pattern in OUAT that helps us viewers keep track of things while somehow making the plot even more complicated. Connections. There are a lot of fun storylines going on in this show, but if they were all separate stories then it'd feel more like they should each have their own show. But instead the OUAT writers weave them all together to make one big ol' story. Perhaps those three spools of thread are actually just one after all. What would happen if the boy's revived love was originally killed by his new love? Yep. Now we have a surprise, even more convoluted plottery, and these stories all connect. 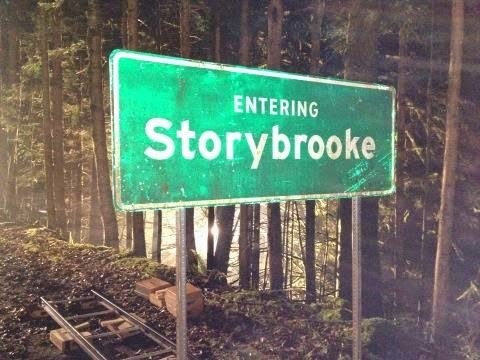 That's one of my favorite things in OUAT, and actually any story. When two characters who have seemingly nothing to do with each other actually connect in some way or another. This seems to be OUAT's favorite plot twist. 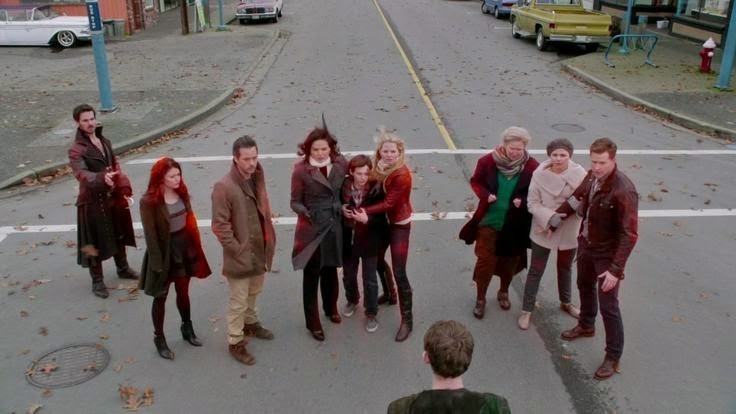 The biggest joke us Oncers make is how every single person in the show is related. It's really just a show about one REALLY big family. Yes, that was a real thing. Okay, okay, jokes aside, it really does bring a lot of interest in when the characters have overcrossing stories. They don't have to be related of course, but occasionally throwing in a couple of characters that have an overlapping background, or their storylines cross into each other, can make for a very interesting plot. Not only do the writers like to tie in all the storylines together, they add one layer after the next. They continuously build and build on the plot, making it bigger and stronger and more complicated. As I mentioned earlier, the show goes back and forth from the past to the present, and through the flashbacks we learn more of what's going on in the current events. One plotline being covered in flashbacks is just one layer to the overall story. With each thing we see from the past, we learn something that adds more to the main plot. And when we think we finally have the full story, they add yet another layer to it. Through this the story has depth that really makes it great. It's a very rare thing for a character to appear in this show that I don't like. And that's saying something because there's, well, a lot of them. Even the characters I don't like at first end up worming their way into my heart. But why? Why do I love them all so much that I ache when they hurt and grin stupidly when they're happy? I think the answer is because these people feel real. A lot of stories tend to forget that each character is a person and isn't just there to lend the protagonist a helping hand when convenient. The OUAT writers take every single character seriously and treat them like real living, breathing, struggling people. Despite the very fantasy aspect of the show, it's almost hard to remember that these characters aren't real. They get wrapped around your heart and aren't easy to let go. Eventually, you even find yourself sympathizing for the villains. In fact, one of the most broadly loved characters is technically a "villain". So how do they make their characters so real and likable? Firstly, they never give us anyone perfect. Even the sweet, supposedly flawless Snow White ends up having a dark side. She's human. Even though she always has good intentions and tries her very best to do the right thing, she's still human and stumbles. And while it was a very heartbreaking moment to see her stumble, I think it was good for us viewers. Sometimes I felt as if Snow White was a little too flawless, and, honestly, it got kind of annoying. When we got to see she struggled doing the right thing just as any other human does, I saw her in a whole new light and she became so much more real and even more loveable after that moment. But she still tries to be good, and I think that's the key right there. We all want to relate to the characters in our stories, but we also want someone to look up to. Who wants a protagonist who's constantly going off doing dumb things and just being all around bad and annoying? That gets tiresome. OUAT has a very nice balance of heroic but human characters. People who never stop fighting for good, but still struggle as you and I do. Another key the OUAT writers use to seamlessly bring these characters alive and make them loveable is their character arcs. Every single character has a make or break point sometime in their life. Each character has a story—a deep, intense, important story. But not just the main cast. Every character has their own story. We usually discover these moments during the flashback scenes in the Enchanted Forest. Often through the course of the entire show we learn more and more about each character. They keep layering on the back stories, as I mentioned earlier, bringing to life everyone more and more. The character arcs are one of the most important aspects of the show. It's during the arcs that we discover why each character does what they do, or why they have become who they are. I mentioned earlier that one of the most beloved characters is a villain. 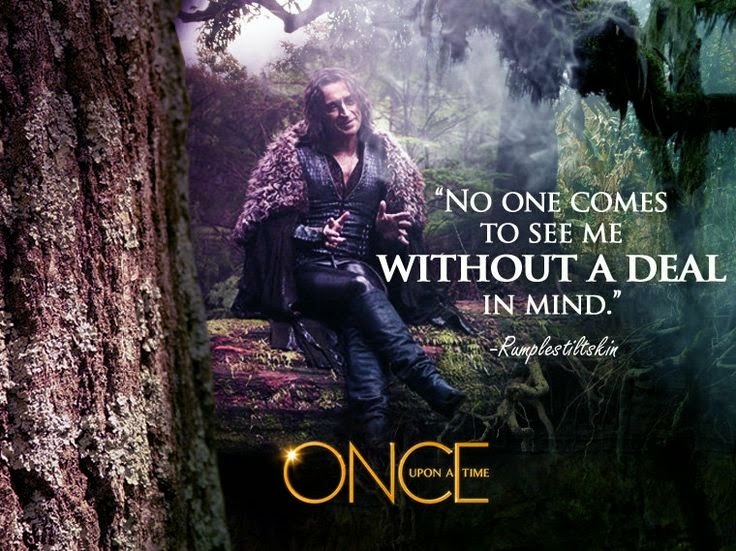 Rumpelstiltskin causes a whole lot of trouble for our characters, most of the trouble, to be perfectly honest. He's not an easy guy to get along with—selfish, greedy, only ever does anything to benefit himself. By rights, we should all hate this guy. And yet he's probably the most popular character out of them all. Well, one reason is because he's just a lot of fun. He's a very intriguing character and you never really know what he's up to. He keeps your guessing…and guessing and guessing. But I think the main reason he's so dear to our hearts is because of his character arc. I promised no spoilers, so I'll try to be careful, but let's just say this guy isn't evil just to be evil. None of the villains are. Rumpelstiltskin had a breaking moment in his life that caused him to be the dastardly fellow he reveals himself to be. He didn't just wake up one day and think, "Hey, I think I want to be evil." His life was tragic and led him to his dark deeds. The same for our other main villain, Regina, or the Evil Queen as she's infamously known as to most. She wasn't always this horrible person, she used to be just a normal human being, same as any of us. But unfortunate circumstances and some misguided blinded her with revenge that she can't shake. But their stories don't have to stop there. Character arcs are woven throughout the entire show, moments that completely change our characters to be better or perhaps worse people. Someone who once was a villain may be shown an act of love that reminds them of the good deep inside their heart. Or someone we thought was heroic may fall into a bout of bad luck and decide they're tired of doing the right thing. These moments really bring these people alive and make the show all that much more interesting. OUAT has really shown me that you can never go wrong with a good, strong character arc. It adds so much more to the plot and characters. Lastly, one of the number one reasons this show is great is that it keeps you wanting more, but without completely torturing you with always unanswered questions. I've experienced a lot of stories that just keep making me ask more and more and more questions without answering them for far too long. Making your viewers (or readers) ask questions is definitely one of the most important parts of storytelling, but if you keep them dangling for too long it can get pretty wearisome. The OUAT writers fix this by usually tying up a loose thread or two in each episode, leaving us pretty satisfied. BUT once one question is answered they pull in a new one. Now we have to watch the next episode. Like, now please? A good, steady stream of answers and questions woven throughout the story will always keep your readers turning those pages, but not completely tiring them with too many loose ends. Like any show, Once Upon a Time isn't perfect, but those writers still know their stuff. You can tell they pour their hearts into making the best story they can, and have fun doing it. And that is the real key to storytelling. Don't take shortcuts, pour your heart and soul into your story, make it deep and meaningful, but don't forget to HAVE FUN. If you love writing your story, others will love reading it. Have you seen Once Upon a Time? Do you ever watch a TV show or see a movie and declare only magic can produce such amazing storytelling? What tips and tricks have you learned from them? Share your favorites! And thank you so very, very much, Sky, for having me over on your delightful blog. I ended up learning a ton myself just writing this! Christine is a twenty-something homeschool graduate who still believes in fairies and checks her closet for Narnia frequently. One day she thought it'd be fun to write a book. 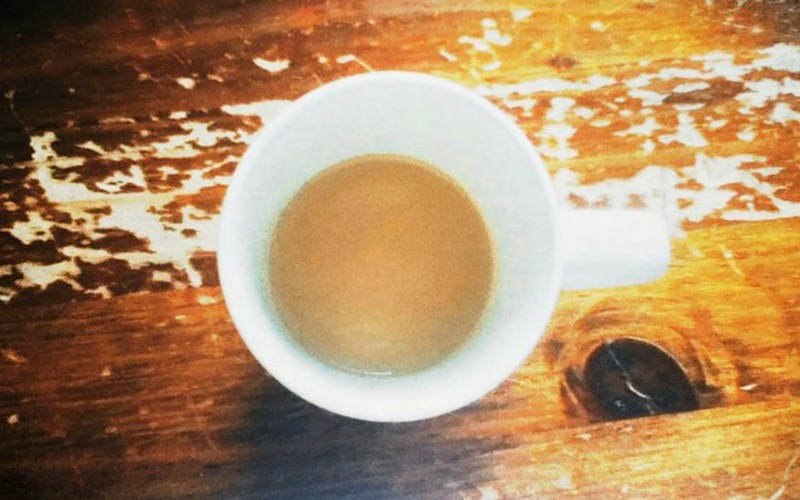 Thirteen years and much caffeine later, she's still writing. Stories are her life. Reading, writing, watching, whatever it may be, she loves tales grand and epic and whimsical and beautiful. But her greatest love is her Lord and Savior, Jesus Christ. Her favorite adventure of all is letting Him sweep her off on His beautiful plan for her life. You can find Christine at her blog musingsofanelf.blogspot.com where she muses on those many peculiar things writers think about. 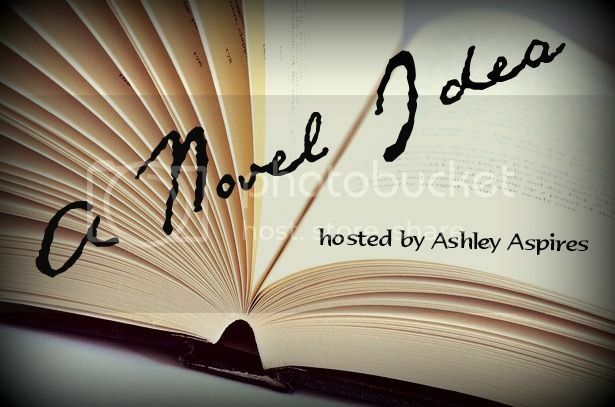 Today I'm participating in A Novel Idea, a weekly blog meme for writers by Ashley @ Ashley Aspires. Every week, she posts questions to answer about you, your writing, and yourself. It's awesome, and you can check out this week's edition here. This week, we're focusing on writing styles and ourselves as writers. I'm excited! 1. What was your first story plot? Do you ever consider rewriting it? My first story plot was technically when I was five, a picture book called Dogs and Cats Castle. Then there's what you would consider my first finished book, a mystery for kids that was based off of my cousins and I. I don't know how long it was, but I pounded away on it with my dad's old computer that was so old that the screen was black and white and I had to use keyboard shortcuts instead of a mouse. Nonetheless, in 10pt Consolas, I typed what would be my first book (but the one I always forget about). The first novel plot I dedicated myself to was a fantasy novel called Talryn's Tale. That one I do consider rewriting, if I can get a plot good enough. And enough time. And then the first novel I ever finished, Reese's Pieces, is one that I do think of returning to from time to time. Again, though, I'd have to come up with a more fleshed-out plot than the one that's there. 2. Where do you get most of your ideas? Dreams and music, mostly? I actually don't know, honestly. Sometimes my novel ideas just come to me, sometimes almost-fully-formed (those are the best kinds). Then there's times where I have to wrack my brain for inspiration. I will say that Pinterest has been an invaluable tool for a.) figuring out my novels, b.) continuing to be inspired, and c.) coming up with ideas. I honestly wouldn't have some of my novels without Pinterest, and even before then, I was finding character pictures all over the place. So, pictures, definitely, would be my answer to this one. 3. 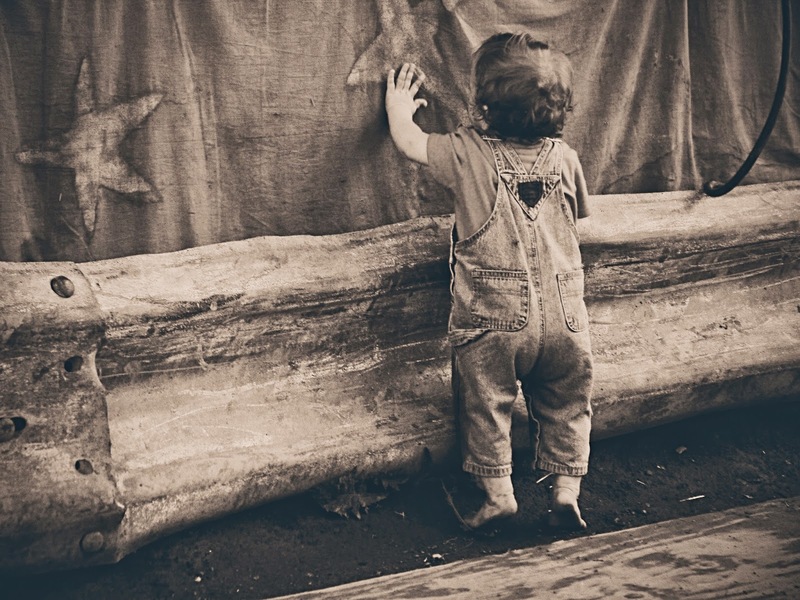 How old were you when you decided that you couldn’t stand it anymore – and you started writing? ...Five? No, maybe that's not quite true. I wrote my picture book then, so I do consider that the beginning, but for a while I had a bunch of unfinished WordPad documents and didn't take writing seriously. I was about 12 when I decided to try to find a novel plot and stick to it (That was Talryn's Tale.) And now, even at 18, I'm discovering that I can always commit more to my writing (this year is when I decided, again, to pick a novel and stick to it). But for purposes of this question, I'll say 12. 4. Do you have a favorite character from one of your books? Describe them. Am I allowed to have favorites? Won't this cause a mutiny? Eh, okay. I have lots, honestly. I love all of mine in different ways. But first and foremost, my heart is always dedicated to my girl main characters. Fiona and Cobie in particular are my favorites. Fiona is my soul character, and Cobie has taught me so much. They're both made of fire, one that echoes the kind of passion and hope I have in my own soul. Their resilience in the face of life's hardships is one I completely admire. The ensemble casts in each of Fiona's and Cobie's respective novels are my favorites too, and help enhance the best sides of them. I just love all my characters, so much. This is weird to say, but they really have become some of my best friends. 5. Do you act out your scenes, or just write them? Ha! This is one of my favorite A Novel Idea questions so far. While I've not made a huge habit of getting up to act something out, it has been known to happen. I asked my dad to help talk through a bullet wound once, and he demonstrated using my own shoulder. More often, though, I honestly do act out a lot of things, just not while away from my computer. 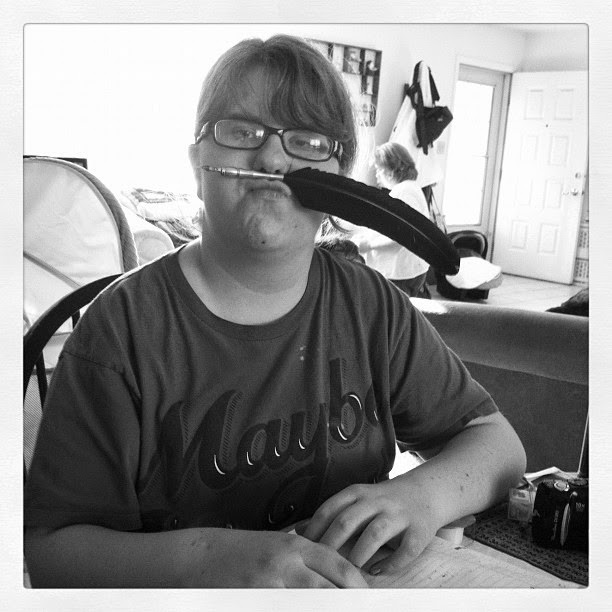 I'll be writing away, completely unaware that I'm making the face of the character that I'm writing about. Sometimes I'll whisper pieces of dialogue out loud to myself, too. photo credits to Georgie Penn, taken two years ago as of this month. If you want to answer these questions about yourself, be sure to check out A Novel Idea! I would absolutely love to hear your answers. current Petrichor wordcount: 94,310 / 100,000.
it's so close that I can taste it!! !